The smiles infectious. The determination palpable. The comfort evident. The playfulness abundant. The wait over. SMAC! 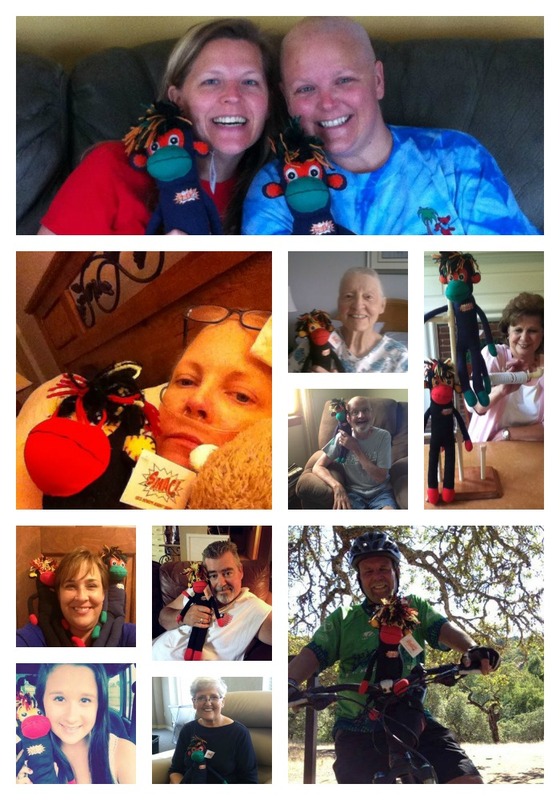 Sock Monkeys Against Cancer are making their way around the world, lovingly landing in the arms of those with/impacted by cancer. These pictures, and the stories behind them, are beyond priceless. Due to YOUR generosity and commitment to SMAC!-ing cancer, SMAC! is now a social enterprise in action– a startup focused on creating social change in the world of cancer by encouraging giving to those impacted by cancer, providing tangible sock monkey love & comfort and directing dollars to cancer research and programs. The movement has begun and is growing every day. But, we’re just getting started. So, spread the word and join in by ordering your SMAC! monkey today. We ALL know someone either with cancer or someone whose world has been altered because of it. Give a SMAC! 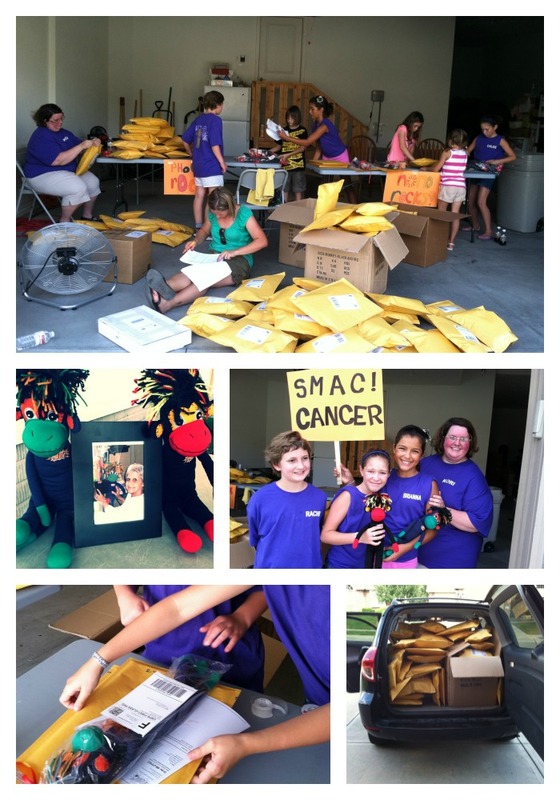 In July, we packaged more than 230 SMAC! monkeys in my garage. When I put out the initial call for help, the awesome girls at Jobs Daughters Bethel #1 of Papillion, Nebraska jumped at the chance. They were incredible and I can’t thank them enough. My Mom, Leslie Lehrman, the inspiration behind the creation of SMAC!, was definitely there in spirit. We did also land some nice local TV news coverage of our packaging party. Here’s are links to KETV’s Channel 7’s story and Action 3 News’ story if you’d like to check them out.